Its been quite a while that I wrote a beauty post. Though this blog is all about Decor and has nothing to do with skin care or hair care, but this blog is my extension and I thoroughly believe that one must always look radiant and take good care of themselves irrespective of their busy schedules. I am not much of a believer of those expensive creams and lotions but instead love raiding the kitchen for my skin and hair care. I believe in natural things. I mean I really don't get the point of buying a cream/gel containing aloevera when we can just pluck a portion and apply the natural aloe juice-all pure and untouched by chemicals(preservatives etc).Or for that matter why buying a cream that boasts off milk cream and kesar(saffron), when you can get it in your own kitchen, and believe me they will be all much better than your expensive creams.Anyways that just my personal opinion. Here today I will be sharing when and why I raid my kitchen. Who knows you might also start raiding your kitchen! The first and the foremost step in skin care is the cleansing step. We all accumulate a lot of dirt on our skin throughout the day. So it becomes rather mandatory to thoroughly clean it up before moisturizing. Use half a cup of coconut/olive/baby oil and mix it with equal portions of water. Mix it thoroughly and put it in a bottle. Using a cotton, remove all the dirt/make-up in a single swipe. Use milk. Soak a cotton ball in milk and apply it on your face and then after 2 minutes of massaging remove it using a cotton. The second step of your skincare should be to re-balance the pH and close all the open pores to make your skin look firm and tight. Many people does not pay much heed to this step..But this step is as much important as the moisturising step. Here's the toners that are present in your kitchen. Ice- Rubbing the ice on your face closes all the open pores and instantly gives you a glowing firm skin. Vinegar- Use either the apple cider vinegar or the simple vinegar and dilute it a little. Apply on your face using a cotton ball. Tomato juice- The acidic property of the tomato juice closes all the pores and gives a tight radiant looking skin. Apply the juice and keep on for 5-7 mins before wiping it off with a cotton wipe. Cucumber Juice- This soothes, relaxes and tones your skin. Apply the juice or put thin cucumber slices on your face. 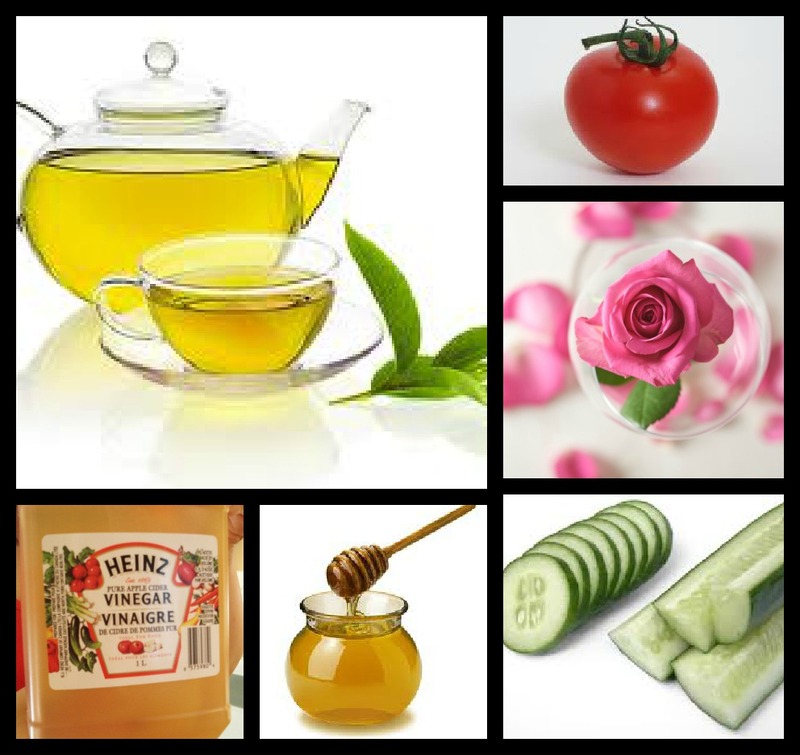 Green Tea- This miracle drink does wonders for both your skin and body. 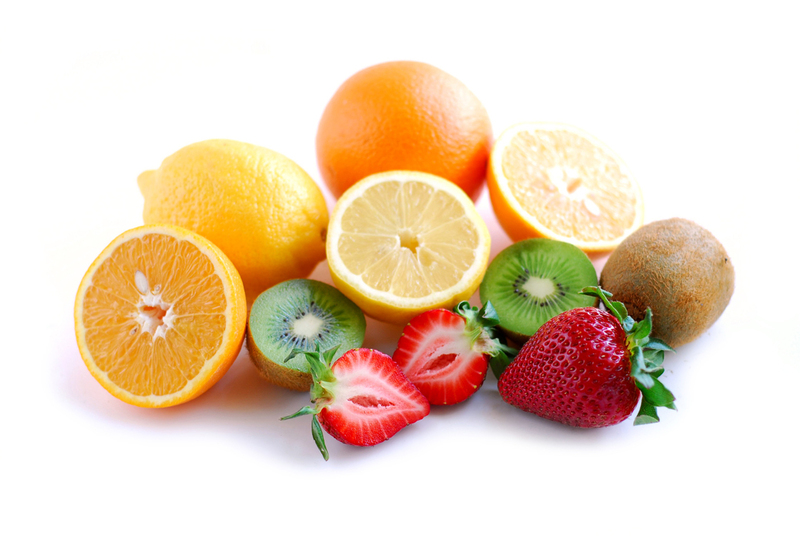 Rich in anti-oxidants this also tones and evens out your skin. Rose water- Excellent for all skin types.Relaxes you with its rosey smell. Honey + Apple juice- The concoction of one tablespoon honey and fresh apple juice when applied on face for 15 minutes tones the skin, keeping it firm. This is the most important step for keeping your skin soft and supple. It is a myth that people with oily skin can go without moisturizing, but it is not TRUE. Your skin needs moisturization irrespective of the type, so don't miss this step at any cost. Honey- Honey has humectant qualities i.e it attracts water and also retains it in the skin, so the skin remains supple and elastic. It also protects against wrinkles and dryness. This is used in several cosmetic creams. Milk-cream- Malai as it is called in India, is a miraculous thing for your skin. I use it to massage my face followed by steaming to clean out the impurities from deep under the skin. Trust me, this mosturizes your skin leaving it super soft and supple. My grandmother used to apply it and she had the most spectacular skin- free of freckles and super soft. And she had been using this for all her life. Curd- Curd is full of anti-oxidants and vitamins and is very mositurising. Apply it on your face as it is and let it dry. Wash it off with cold water and you get a visibly fairer, clearer and even skin in minutes. Fruits- Banana, avocado, apple, papaya, cheekoo, melons, watermelons, mangos, strawberry, oranges etc are full of moisturising properties and store house of vitamins and minerals. 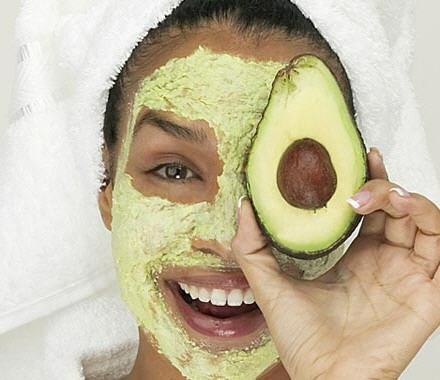 Mash your favorite fruit and apply on your face. Wash off after 15 minutes to get the fresh as a dew skin in minutes.And you can just apply any fruit.Tip: Dont throw over-riped fruits,instead puree them and apply on your skin. So go out ladies and raid your kitchen. Your kitchen has the most awesome and priceless things for your skin. Take cues from the likes of Cleopatra and get an envious glow on your skin and fuller pockets too. I actually love this post! It's really helpful and I'm definitely going to try some of them out. Especially the using ice cubes as a toner for your skin makes skincare so much cheaper! These are all tried and tested CTM tips..Do try out and let me know! With winters receding, I can sure think of trying these. Looks like health care is on everybody's mind. My latest post talks about taking care of our body too!